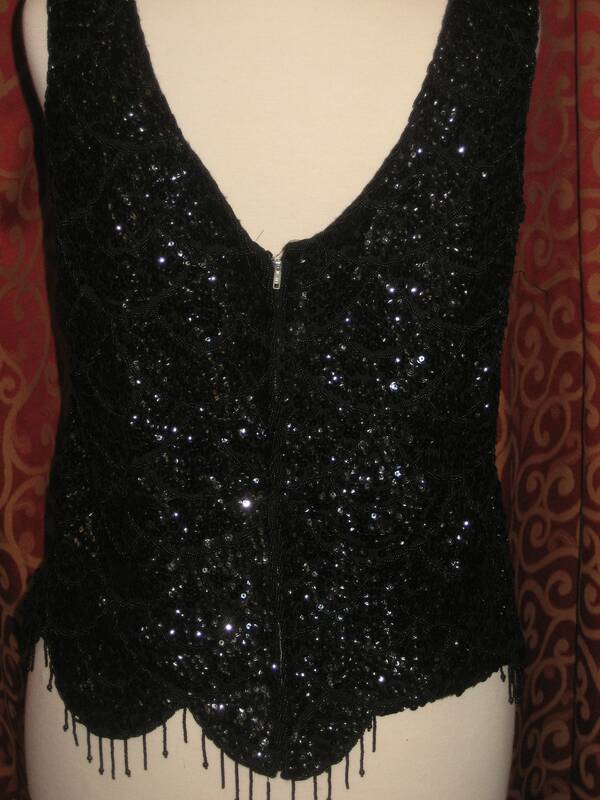 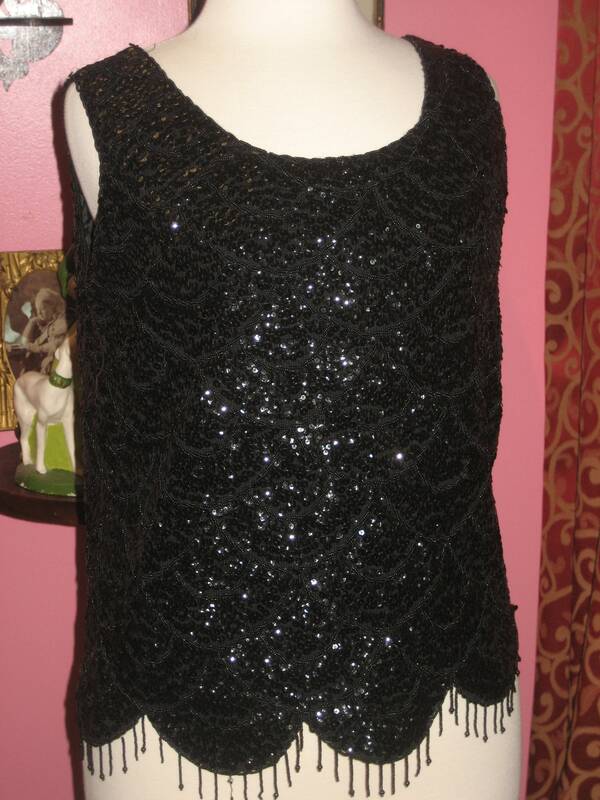 1960's, 38" bust, beaded and sequined black wool shell, fully linen in black silk. 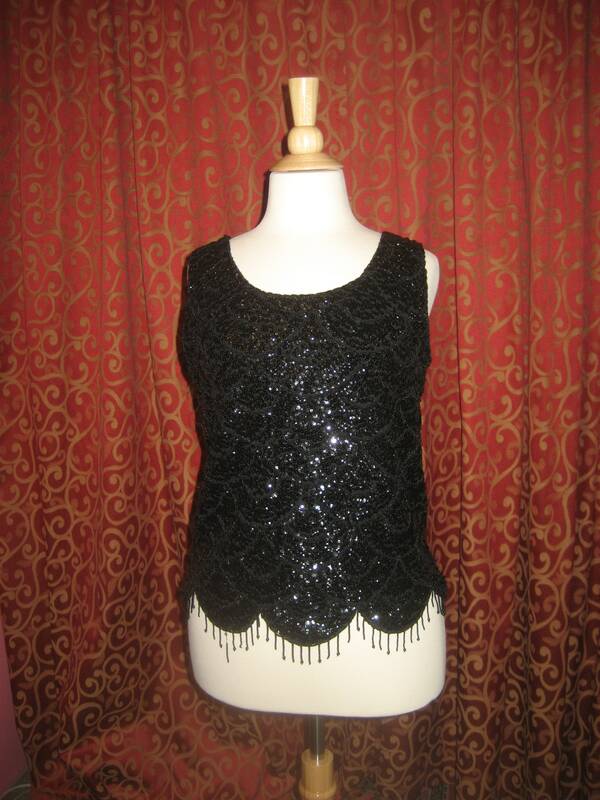 Neckline is open and curved, and is sleeveless, full length zipper fastens top in back. 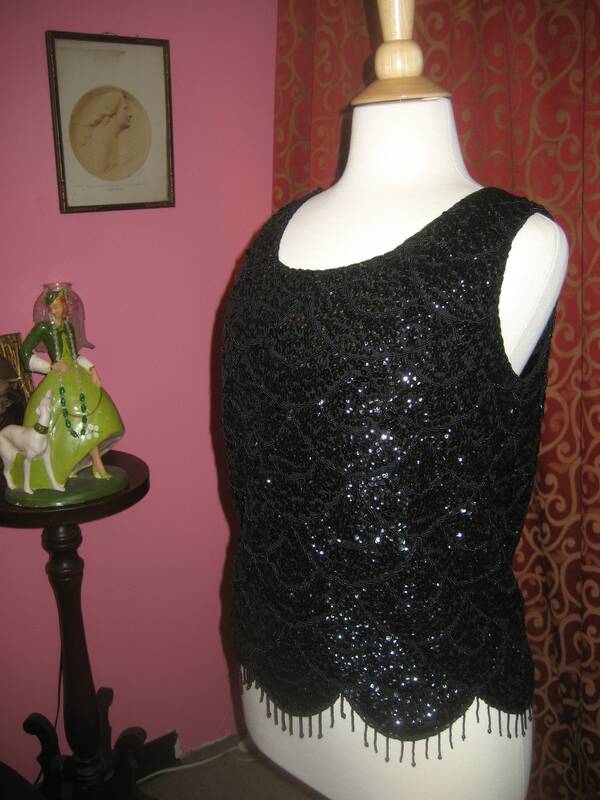 Label reads " Imperial" made in British Crown Colony Hong Kong, 100% wool.